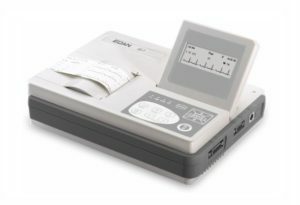 Edan SE-3 ECG (Wide Screen) SE-3B. Given the high demand within the United States, EdanUSA was formulated in 2009 to offer local service and support for U.S. sales. All of our products come with a three-year manufacturer’s warranty. Our goal is to offer high-quality diagnostic equipment, that improves quality of care to patients, with customer pricing 30% x 40% less than that of major U.S. competitors. 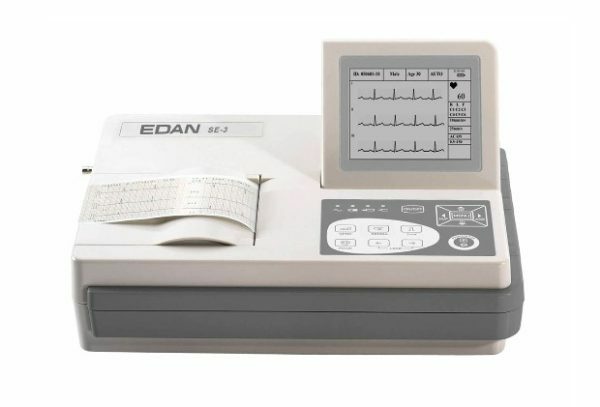 The Edan SE-3 ECG (Wide Screen) Features: Smart ECG SE-3 series are high-quality and affordable three-channel ECG units. It is compact and light design makes it portable for any work situation. 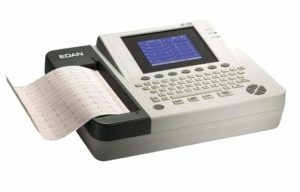 The fold-able LCD screen with waveform display and parameters configurable, High-resolution thermal printer, and a Built-in rechargeable lithium battery, AC/DC power supply. 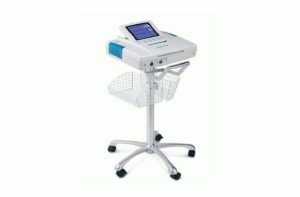 Well designed membrane keyboard, Multi-languages select-able, Data transmission to PC via RS232/Ethernet port, along with USB Interface for patient data transportation. The SE-3 ECG is compatible with external printer for 12 leads simultaneous printing and has a complete digital filter, avoiding baseline drift, AC, EMG interference. 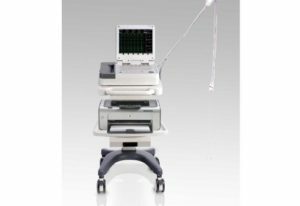 Automatic baseline adjustment to optimize printing position along with copy mode for additional copies of the latest auto-tested ECG. 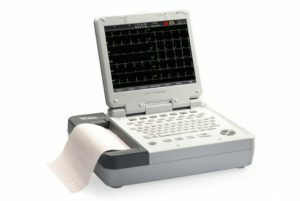 The SE-3 ECG has 3/6/12 leads display simultaneous, Lead-Off detection and alert. Selectable report options: auto, manual, rhythm and HRV analysis. Interpretation tested with authoritative CSE database is an available option. See tabs for more information.